As we reflect on another year, I have a lot of mixed feelings about 2016. On the one hand, I had some great opportunities, grew in my relationship, and got to travel to some amazing places. On the other hand, I had some opportunities fall through, had some people screw me over, and gone through some very stressful situations. 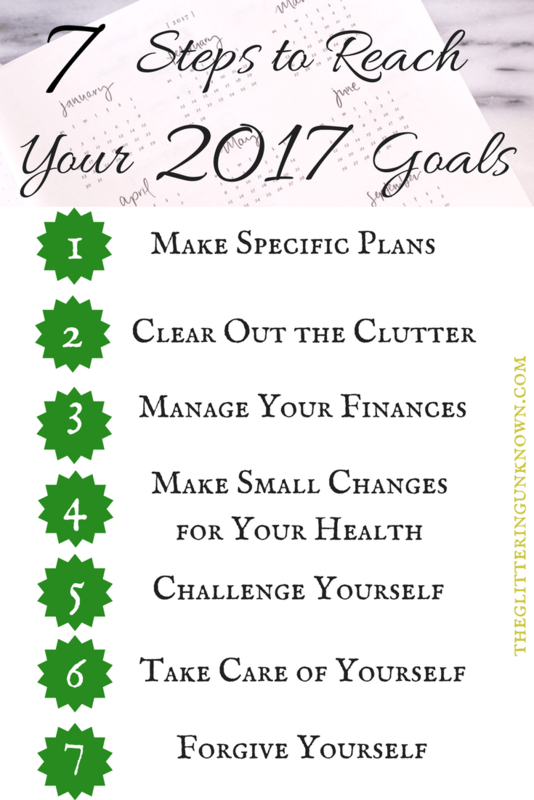 So for me, 2017 will be the year of taking charge of my life through actionable resolutions that break down my goals for the year into manageable steps, since I’m easily overwhelmed when I try to pile too much onto my plate (only metaphorically speaking, of course- om nom food) or when I don’t set a specific target to reach. Maybe you’re like me and you need to keep things simple in order to have clear paths to your goals. Maybe you’re really on top of things and have already figured out how to achieve all your objectives for 2017, in which case I both applaud you and want you to leave me a comment telling me your secrets. Either way, here are 7 steps that can be narrowed down to fit your specific 2017 goals. Some say that a goal without a plan is just a wish, so it’s important to have actionable steps to take your goals to the next level. Think of the things you’d like to achieve in the next year. What steps can you take to achieve them? Write down these ideas- anything and everything you can think of. Go back in a couple of days and reread your ideas with fresh eyes, and use them to help you decide on short-term objectives. These could be weekly, monthly, or quarterly, but breaking them down will make them seem easier to reach. 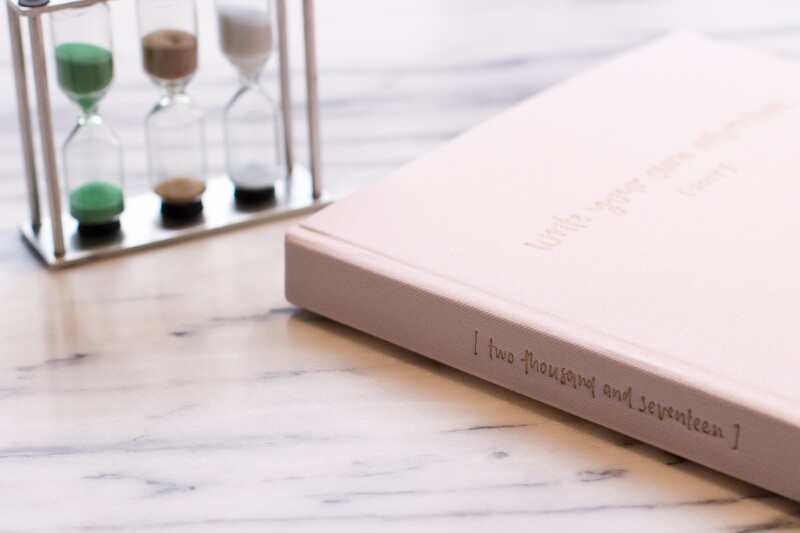 If you’ve never tried writing your to-dos and goals out physically, maybe this is the year to try a planner! I love this one from the Content Planner, especially if you work online or in social media. You know that little thing in the back of your mind that you know you should clear out but haven’t managed/bothered to do it up till now? Whether it’s your desk, your friendships, your social media accounts, or your closet, there’s probably something in your life that could do with a little reorganizing. Have people in your friends list and you don’t even know why they’re there? Delete them. Haven’t worn that shirt in two years? You won’t wear it again- sell or donate it. Surround yourself only with people and things that help you be productive, further your goals and bring positive elements into your life. Everything else can be lived without. Don’t bring unnecessary clutter and negativity from the past with you into the new year. Purge the toxicity and give yourself a chance to start fresh. Even if you’re not at the point of fully supporting yourself, there are steps you can take or habits you can create now that will help you take control of your financial future. Number one? Save 10% of every paycheck. Never in my life did I realize how much I would regret not having done this when my parents first told me to (yeah, Mom and Dad, you were right! ), especially after the financial troubles of the past year, and how good it would have been to not only have funds set aside for projects I want to do now, but to just have a normal social life. Do you have some big expenses to save up for this year? Start budgeting. I need to make sure I have enough money this year to buy a ticket home for my best friend’s wedding, so my financial choices will be made with this goal in mind. For part of last year, I was keeping an Excel spreadsheet to track my expenses, and realized how much money I was spending on things I really ought to cut out. There are also personal finance apps, like Mint, that can help you track your spending so you know exactly where your money is going and can be more conscious of what you’re using it on. Financial independence can be a daunting idea, but it is insanely satisfying once you finally manage to get to that point! One of the big problems with health and body related resolutions are that often the end result is such a lofty goal that, when not reached quickly enough, you get discouraged and revert back to the habits that were making you miserable in the first place. It’s a vicious cycle, but let this be the year that you break it! It’s probably not feasible for you to start running multiple miles on a daily basis if you’ve never been a runner, or to totally cut added sugar out of your diet when your sweet tooth starts demanding to be fed (raising my hand for this one). So pick small, actionable changes that make it easier to stay on the wagon. Replace one soda a day with a big glass of lemon water. Try to make it to the gym 3 times per week instead of declaring you’ll go every day, missing 2 days and then writing the whole week off as a failure. Add a vegetable at one meal instead of immediately switching to an entirely plant based diet. You’ll be surprised how fast small changes will yield results, even if it’s only in the way your body feels (because who doesn’t want to feel better on a regular basis?). The original text for this number said “do something that scares you”, but “scares” didn’t seem to be the right word. It can be scary to put yourself out there, but challenging ourselves is how we grow, much like how challenging a muscle will make it stronger. Go out of your way this year to do something that makes you uncomfortable. If you’ve never been to a country that doesn’t speak your language, book a trip. If you’ve been putting off asking for a raise or promotion you know you deserve because you don’t like to push people, ask for it! We only get what we think we deserve- in love, in work, and in life in general. Personally, I fear rejection, so reaching out to brands I would love to work with is a challenge for me. But, if I don’t do it, how will they know I want to work with them? Put yourself out there and watch what happens. Some might call this “self-care”, but not everyone knows what self-care is, so this is a more general call to make sure you’re taking care of yourself. This goes beyond the basics of eating right, staying active and flossing regularly; this is about doing things for yourself just because they make you feel better. Feeling down about your looks? Do a face mask and paint your nails. Invited to a party but your body is telling you it’s exhausted? Stay at home and go to bed early. Listen to what your mind and body are telling you, and don’t be afraid to indulge in a little pampering or say no to plans when you need to take some time for yourself. People will forgive you. Really. Confession: I have a massive guilt complex. I feel guilty about the smallest little things, and I obsess over them until I either right the wrong or talk to the person I feel like I wronged- usually only to find out they don’t even remember what I’m talking about. We are SO hard on ourselves these days and it’s so easy to blow things out of proportion, especially if you’re sure your friend is subtweeting about you or that they posted the group picture you took instead of the one you were in so they MUST be mad at you. Stop. Take a deep breath and realize that even if they are mad at you, you’re doing the best you can. Give yourself credit where credit is due, allow yourself to feel guilty for awhile about something you’ve done, but learn to forgive yourself so you can move past it. After all, this is your year- don’t let anything hold you back! I loved reading this Emily! I think writing a blog will be the “doing something that challenges/ scares me.” Sharing my thoughts can seem terrifying and it’s inspiring for me to see how open and vulnerable your writing is! Also, so much yes to self care. In a busy world we can feel guilty for stepping back but it’s often necessary if we want the things that we do do to be done with commitment and passion.